The revolution penetrating in the mobile landscape entirely changed the way companies and brands market their products and services. Do you think, the traditional process of sales involved and the marketing practices along with websites and social media alone sufficient to sustain any brand’s growth? Well, the answer is "No"! Therefore, this is why Mobile App Development companies are always exploring new technologies, tools, and platform to benefit different industry verticals on the way for increasing ROI and branding success for the businesses. And, the financial sector is among one, on the successful path to adopt digitalization; i.e. mobile apps to connect with the large user base. 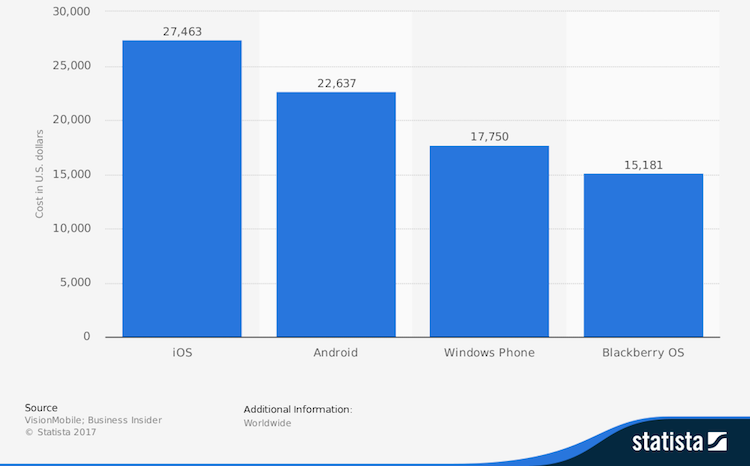 Considering the numbers, we found that in 2017 alone, about 178.1 billion apps were downloaded. More interestingly, even the financial app market is assumed to indicate a CAGR of 13.2% by 2023. In fact, these days mobile applications have become so popular and every business wants to have customized mobile apps for themselves. Thus, no doubt the future looks potent for the finance industry. In general, people prefer simplicity and ease, when it comes to bills payments, debiting and crediting money online, the transaction is done with a click on mobile apps. However, the digitalization is also wrapped with risk and this makes online transactions, sometimes obscure. Well, it's not that easy to give a specific price quote for the Finance App Development process. There are multiple factors that influence the cost of making finance applications. however, the primary factors influencing the cost of app development include the type of business model, the platform, the functionalities, the design, and the developer's expertise. In this competitive app development market, a wide range of finance apps are available, thus, it is quite important for your app to have an edge by offering something exclusive. Enhanced user experience, new functions, and increased security will be helpful in distinguishing it from the rest available. Hence, ascertaining these beforehand will support to estimate the cost of developing the app. The number and type of features in your finance app will affect the overall cost. When you plan to build an app, certainly, you might have a distinct idea and features listing for the app. However, even combining common features such as the dashboard allows creating multiple user accounts. Further, the user data such as login-ids and password encryptions to be stored in the app hit the cost considerably. Besides, security - one of the most crucial features in any finance app will need to be extended to the point that it is implicitly unfathomable. With more advanced features like tracing credit, retrieving data from the associated bank accounts or supplementing credit monitoring systems etc. 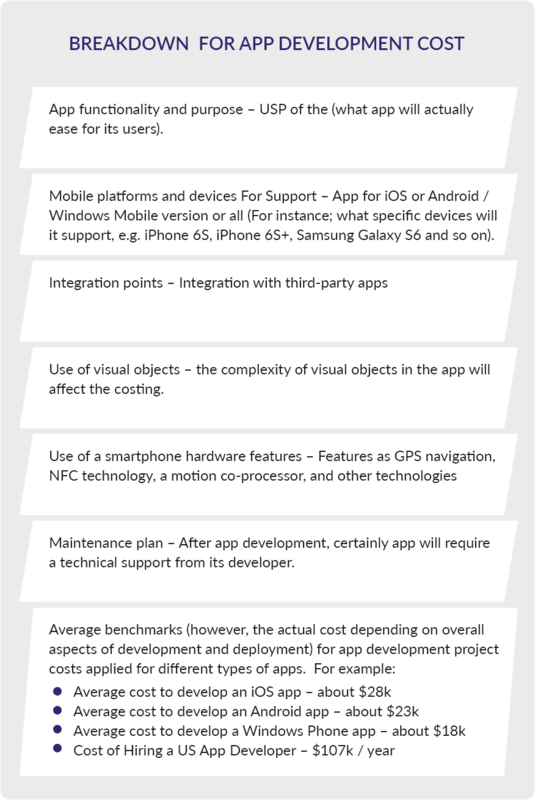 the cost of app building multiplies. Most finance apps have specific settings that make them unique to Android or iOS. Thus, developing and intensifying these settings in the app indicates a subsequent increase in the costing. Well, these settings comprise profile management, account information, and income data. It can also have a mobile number and profile picture. But, if you go for a more intricate finance app that has inter-bank linking with improved integrations, no doubt it can double the spending. Developing a finance app for Android and iOS involves three main stage that includes determining the best platform to practice and the multiple functions to be incorporated by your finance app developers. The design stage further takes into account the planning, responsiveness of the design, UI, and testing. Last but not least, the marketing stage gets care of the distribution approach and business analysis. It's always necessary to combine diverse strategies to stand out in the Android and iOS finance app development industry. The approach executed to create a finance app also turns the entire app development. 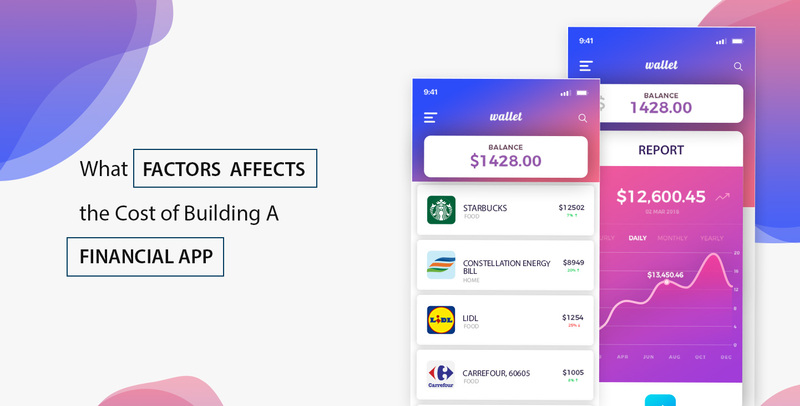 Whether you decide to use a Finance App Builder new in the market or go for expert Finance App Developers, this is another factor that impacts the overall costs. Therefore, it’s advice to take the right decision that fulfills your requirement to the best. Are you looking for a Finance App Development Right Now! Contact leading mobile app development company like Root Info Solutions- having years of experience that can help you in creating a custom-made finance app for Android or iOS. Fill in the form with your complete requirement to build an affordable and reliable finance app ingrained with industry-best security features.